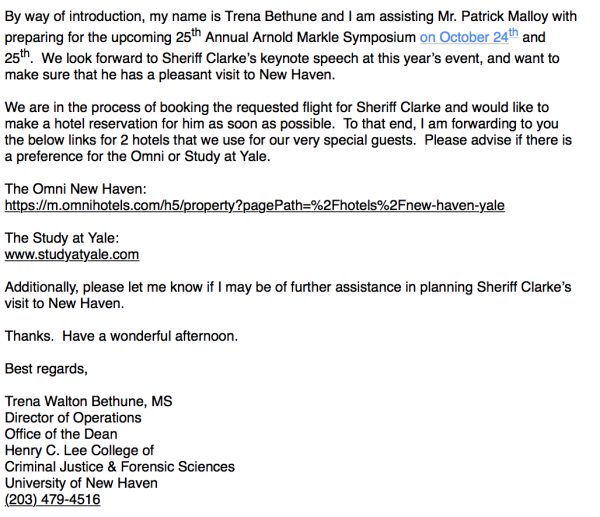 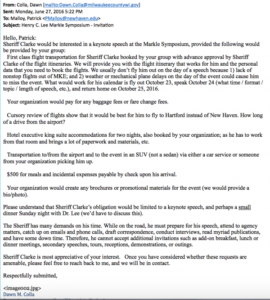 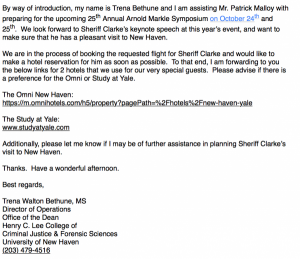 Sheriff David Clarke has released a fourth article , this time showing the emails between his assistant and UNH professor Patrick Malloy. 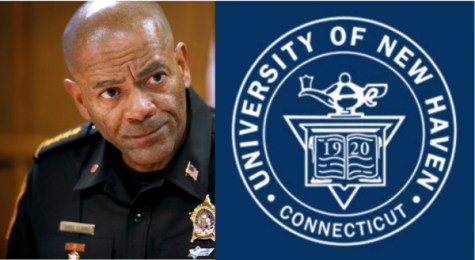 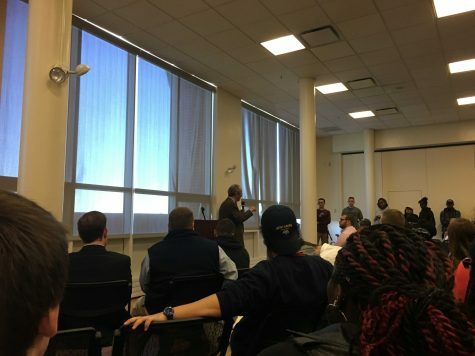 Malloy has released a statement on Friday detailing his exchange with Sheriff Clarke, where he outlined the fact that he misrepresented what Sheriff Clarke requested to attend the symposium, in which the university could not accommodate the requested needs. 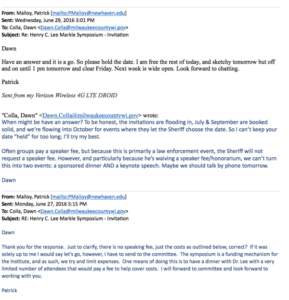 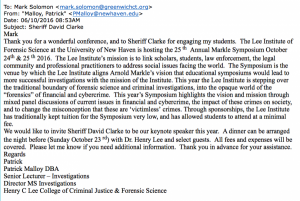 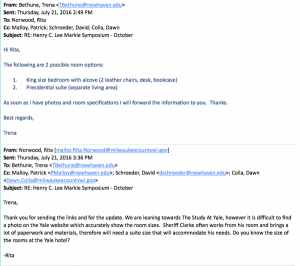 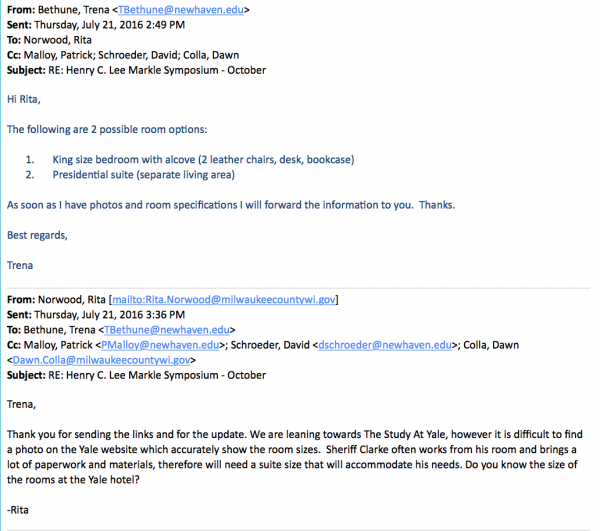 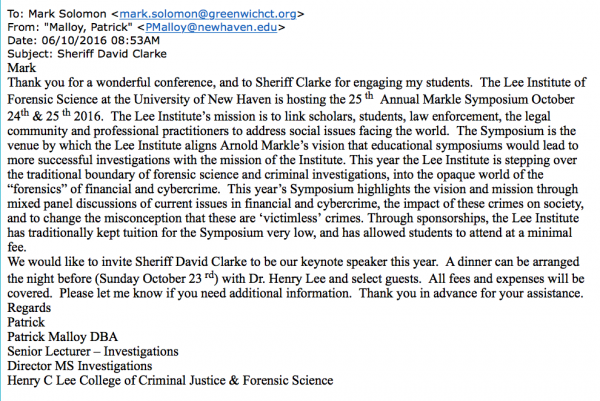 Clarke claims that these emails show that the university is lying about not sending him an invitation. 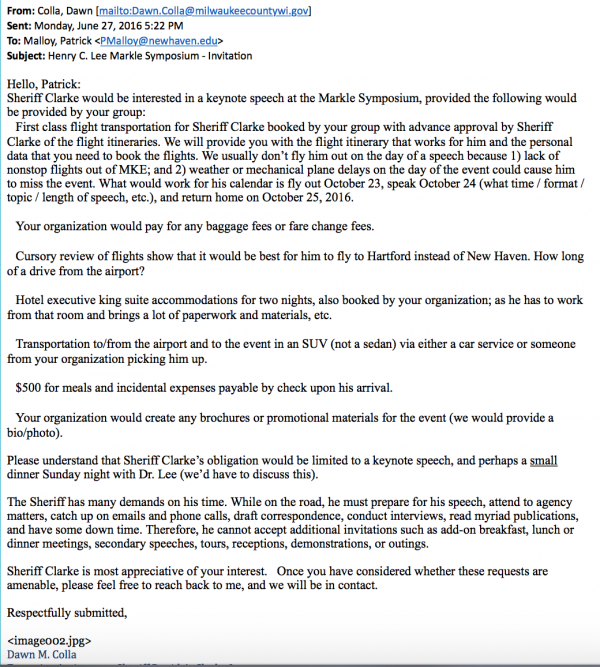 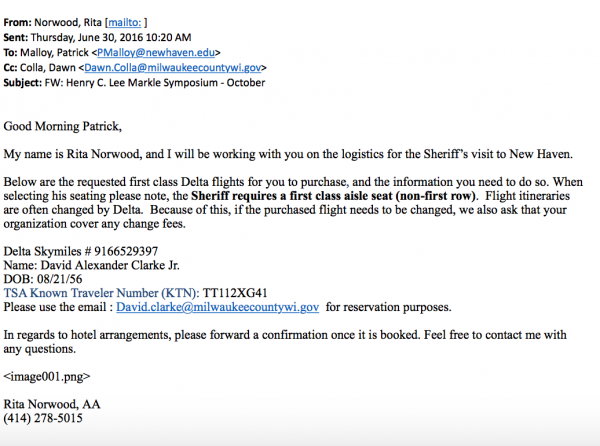 These emails do show, however, the specific accommodations required by Sheriff Clarke that the university could not make. 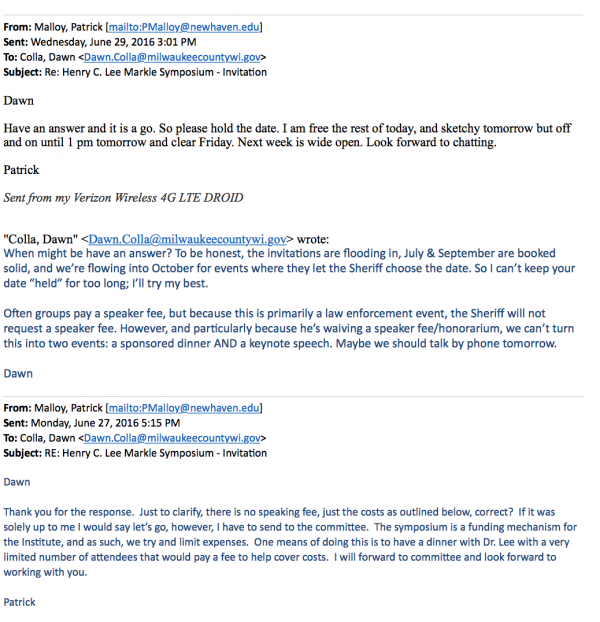 Also, none of the emails express the fact that the university backed out of the deal because of Sheriff Clarke’s stance on Black Lives Matter. 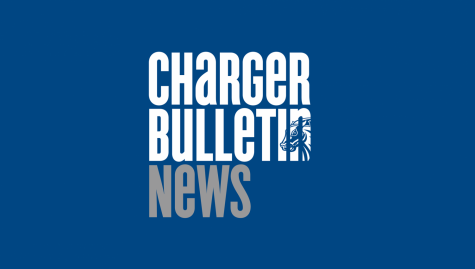 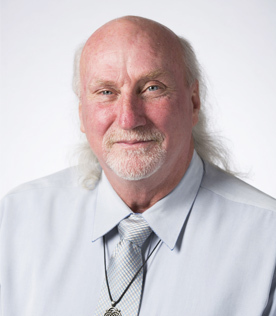 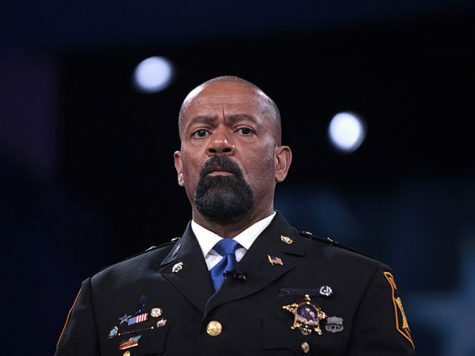 Clarke’s fourth article can be found here. 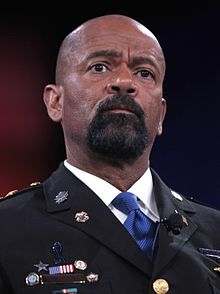 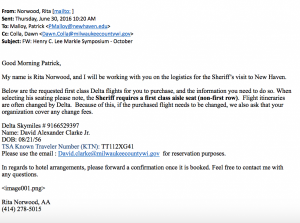 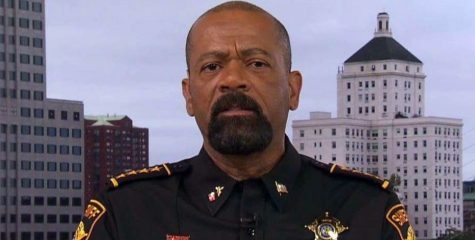 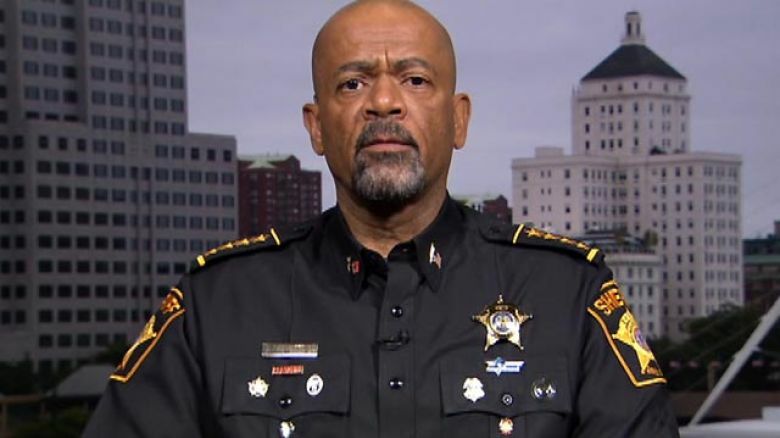 Who is Sheriff David Clarke Jr.?